How Do R/C Helicopters Fly? What Will You Get With Your Radio System? Shenzhen Dynam Industry ＆ Trade Co., Ltd, which was established in 2005, is a whole business enterprise integrated the research development, producing manufacture, and selling. 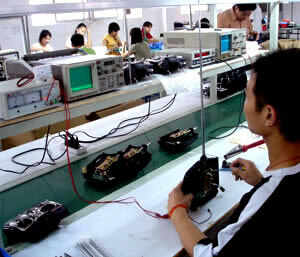 Our company mainly produces RC helicopter, RC airplane, transmitter and interrelated electron products. All products have FCC, CE, and ROHS. 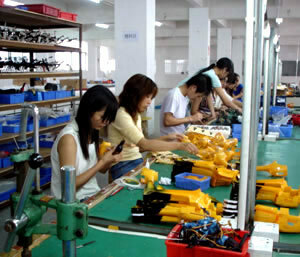 Our company development is quick, existing factory premises area 4500 square meters. The main section has mould room, CNC process center, injection, the electronics develop, the products design, QC, etc. Grasp “The quality first, customers supremacy, brave innovation and human center” of aim, our products sell well in Europe, USA , and Southeast Asia and keep stable growing. Such as Cessna, Vortex, Orbiter, Extra, Katana, Phoenix , Hughes, Focus, NE-KO transmitter, ESC, Charger of market share are more and more high. Strict quality management, professional development design, and good relationship with customers, which push forward the Dynam's development. Through the development of several years, we create a group with advanced management and developed ability. In the future, we will increase investment and develop strength gradual on the electronics, helicopters and airplanes in order to produce more, better, more professional products to satisfy the market request. We are professional so you choose.